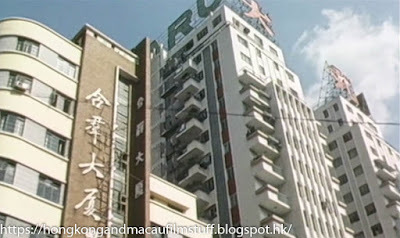 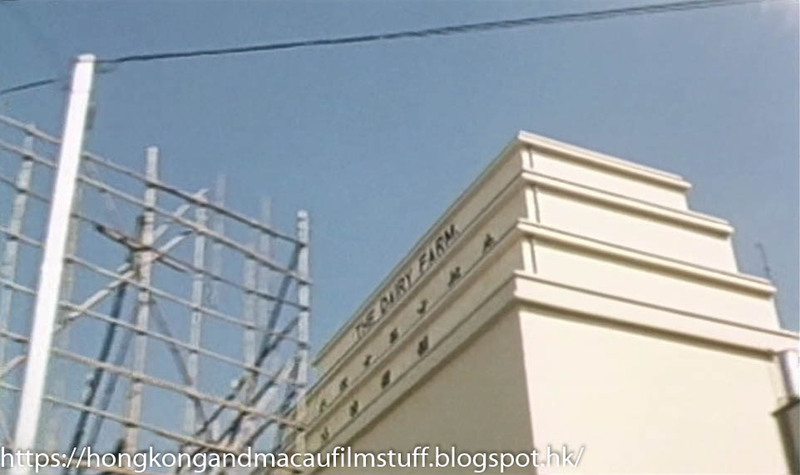 A similar trip down Yee Wo Street as seen in Heisser Hafen Hongkong, although this time the camera angle is steeper as we pass by various buildings including the Hop Kwan Building, Great George Building (where Daimaru was located) and also a never-before-seen glimpse of the top of the Dairy Farm building that Thomas mentioned in this post. I believe it was filmed a bit earlier. 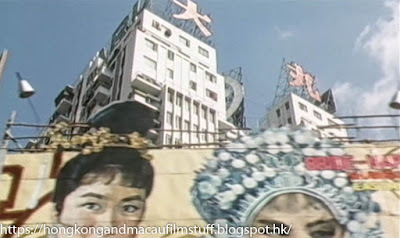 In the middle capture the scaffoldings of the site of the future Hong Kong Mansion could be seen. Hong Kong Mansion was completed some time back in 1966.